Despite their relative similarities, it looks like Microsoft’s Zune portable media player is going to be a little larger and fatter than Apple’s iPod. 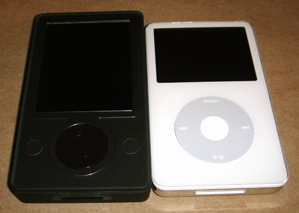 The Zune has a slightly larger screen, which may have required a larger housing. 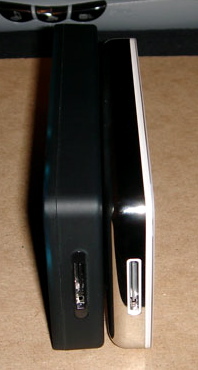 This view highlights the thick profile of the Zune, compared to the iPod.